Honoring Bestselling Authors Across the Globe! Expert Insights Publishing announces Dr. Karen Jacobson is Co-Author in New #1 Bestseller, Ready, Aim, Inspire! Expert Insights Publishing is proud to announce Dr. Karen Jacobson, Mind/Body Health Expert, is Co-Author in New #1 International Best-Selling Book, Ready, Aim Inspire! Dr. Karen Jacobson invested years studying leadership, human behavior, communication and Law of Attraction, following the works of Anthony Robbins, Stephen Covey, Jack Canfield, Bob Proctor and others. She received certifications in Coaching, NLP-Neuro-Linguistic Programming, TimeLine TherapyT and Hypnotherapy from the Tad James Company. For over 22 years in chiropractic practice, she focused on Mind-body Connection and its effects on health and Human Potential. The experience of healing herself naturally from Systemic Lupus has taught her that there are no limits to what we can create. Our life and our health come from within, and are dictated by our personal blueprint: our perception of the world, mindset, emotions and beliefs. As a high performance coach, Dr. Karen blends Intuition with Science offering you the keys to unlock your ultimate potential and live an extraordinary life. 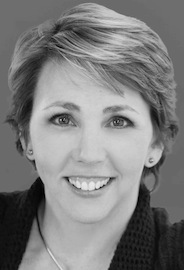 Janice Knox is Co-Author in Expert Insights Publishing New #1 Bestseller, Ready, Aim, Inspire! Expert Insights Publishing is proud to announce Janice Knox, Life/Career Makeover Coach, is Co-Author in New #1 International Best-Selling Book, Ready, Aim Inspire! Janice Knox, MD, was a top anesthesiologist for 30 years, and she then found her ability and true calling is coaching people, understanding what they need, and helping them discover their best lives. Expert Insights Publishing Announces Deepak Chari is Co-Author in #1 New Bestseller Ready, Aim, Inspire! Expert Insights Publishing is proud to announce Deepak Chari, a Biofeedback Specialist and Mind/Body Medicine Expert is Co-Author in New #1 International Best-Selling Book, Ready, Aim Inspire! Deepak Chari has a Bachelor of Science degree and a Master of Science degree in engineering, and is a certified biofeedback specialist. Deepak incorporates leading-edge technologies to facilitate the accelerated release of stress and anxiety. 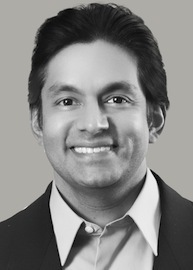 Deepak’s vision has always been to incorporate noninvasive technologies for healing. Dr. Roopa Chari is Co-Author in Expert Insights Publishing New #1 Bestseller, Ready, Aim, Inspire! Expert Insights Publishing is proud to announce Dr. Roopa Chari is Co-Author in New #1 International Best-Selling Book, Ready, Aim Inspire! 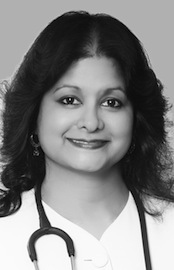 Dr. Roopa Chari successfully combines her unique training and experience with alternative medicine along with her traditional medical background to provide the best quality healthcare possible for her patients. Dr. Chari is the Medical Director of the Chari Center of Health. She received her medical degree from the Medical College of Ohio and completed her internship and residency at NorthShore University Health System, affiliated with the University of Chicago. Dr. Chari is Board Certified in Internal Medicine by the American Board of Internal Medicine. Her vision has always been to help people to heal themselves by treating the underlying cause of medical and psychological conditions, including nutritional deficiencies, stress, and suppressed emotions. Dr. Chari was featured in the book, Just Fine: Masking Concealed Chronic Illnesses. Tracy Repchuk, Internet Marketing & Social Media Strategist is Co-Author in Expert Insights Publishing New Bestseller, Ready, Aim, Inspire! Expert Insights Publishing is proud to announce Tracy Repchuk, Internet Marketing and Social Media Strategist, is Co-Author in New #1 International Best-Selling Book, Ready, Aim Inspire! Tracy Repchuk is a #1 international best-selling author on Amazon, an in-demand TV business personality, and internationally renowned speaker on online structure and social media marketing. She has been an entrepreneur for 26 years, is a certified management accountant with a degree in IT, and has experience with software development since the Internet first began. 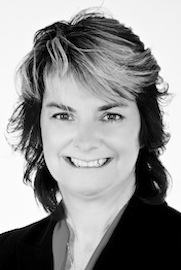 Tracy understands how to create websites with marketing in mind and to leverage online media as a consultant for business re-innovation. World-Class Media Relations Expert, Jackie Lapin is Co-Author in Expert Insights Publishing New #1 Bestseller Ready, Aim, Inspire! Expert Insights Publishing is proud to announce Jackie Lapin, leading Media Relations Expert is Co-Author in New #1 International Best-Selling Book, Ready, Aim Inspire! 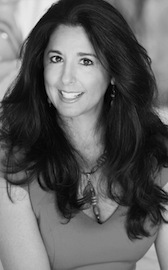 Jackie Lapin is the founder of Conscious Media Relations and the acclaimed Personal Development Radio Media Tour, which offers personal growth, self-help, and conscious business authors exclusive access to a priority list of 2,600+ personal development radio shows seeking compelling guests. Her service has been called “awesome” and “essential” for book launches or revitalizing a book’s marketing. For 30 years before launching Conscious Media Relations, Jackie has been a leading media relations expert serving such world-class clients as the World Poker Tour, where she was instrumental in launching the worldwide poker phenomena. Also, she’s worked with Toyota, Upper Deck, The Golf Channel, the LA marathon, Disney, Seagram’s, and many more. Jackie is a best-selling author herself, with two Amazon bestsellers, The Art of Conscious Creation: How You Can Transform the World, a book lauded by such leading notables as Joe Vitale and Mark Victor Hansen, as well as the media and readers worldwide who call the book life-changing, and Practical Conscious Creation: Daily Techniques to Manifest Your Desires, which has won six prestigious book awards including Best Spiritual Book of the Year at the International New Age Trade Show. Jackie is launching LifeWisdomNetwork.com, the virtual village that serves as the marketplace, directory, and information source for the fast-growing conscious and transformational world. The site will showcase authors, speakers, and coaches and allow them to market and sell their books, products, and events. The Transformation Catalyst, Christine Kloser is Co-Author in New #1 Expert Insights Publishing Bestseller, Ready, Aim, Inspire! Expert Insights Publishing is proud to announce Christine Kloser is Co-Author in New #1 International Best-Selling Book, Ready, Aim Inspire! 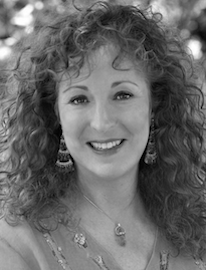 Christine Kloser, The Transformation Catalyst, is a transformational book coach, spiritual guide, and award-winning author whose spot-on guidance transforms the lives of visionary entrepreneurs and authors around the world. She has fast become the leader of the transformational author movement, where her work has been endorsed by some of today’s leading transformational authors. Her books and publications have received numerous awards, including The Nautilus Book Silver Award, Pinnacle Book Award, National Best Books Award, and the Apex Award for Publication Excellence.